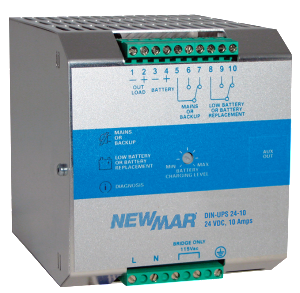 Reliable power for remote monitoring has never been easier with Newmar’s new all-in-one DIN Rail Mount power solutions. These compact yet powerful radio and RTU ready systems are easy-to-install correctly on any DIN Rail. Simply connect Raven X, GE-MDS, Freewave, or Phoenix Contact Radio and RTU or PLC and you are ready to go. Systems are designed to provide convenient 12V, 24V or 48V DC outputs at 10 amps with an integrated battery backup circuit. 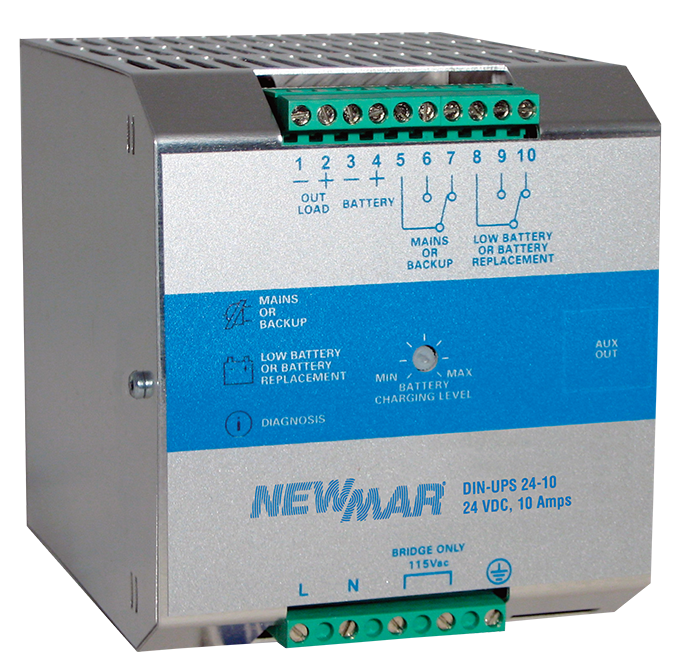 Each Newmar DC power system includes turnkey all-in-one remote monitoring capability featuring battery type programmability, three step charging, with optional temperature compensation sensor, Low Voltage Disconnect (LVD) and AC fail alarm output. DIN-UPS present an all-in-one (power supply, battery charger, and monitoring system) solution, and quickly snaps onto the DIN Rail for complete and seamless installation, providing one component to monitor the entire power system. The system makes it fast and simple to upgrade power in existing monitoring applications such as casing pressure, temperature, or flow control. Environmentally hardend, the DIN UPS features a robust full metal chassis and boasts a mega wide -25 to 70 degrees Celsius operating temperature range for even the most hostile environmental conditions. 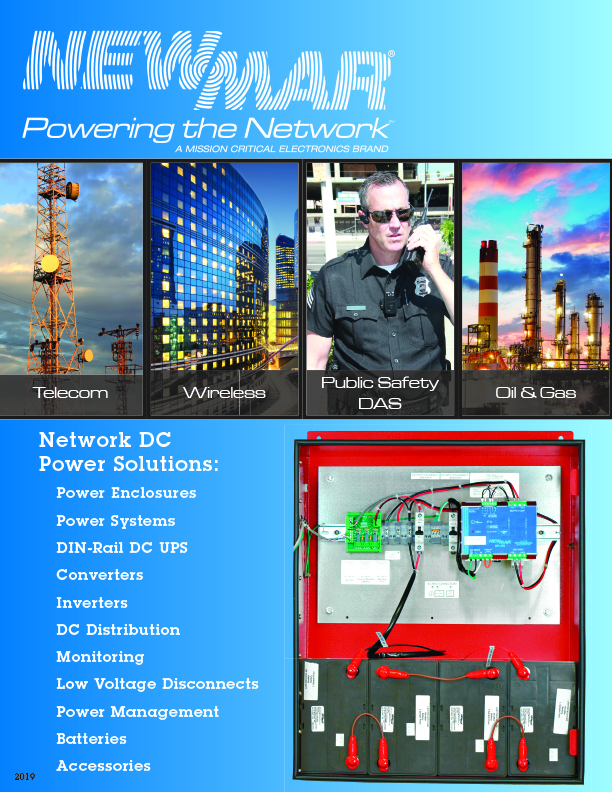 Select your DIN Rail Remote Monitoring DC power system today! COPYRIGHT © 2019 NEWMAR. ALL RIGHTS RESERVED.